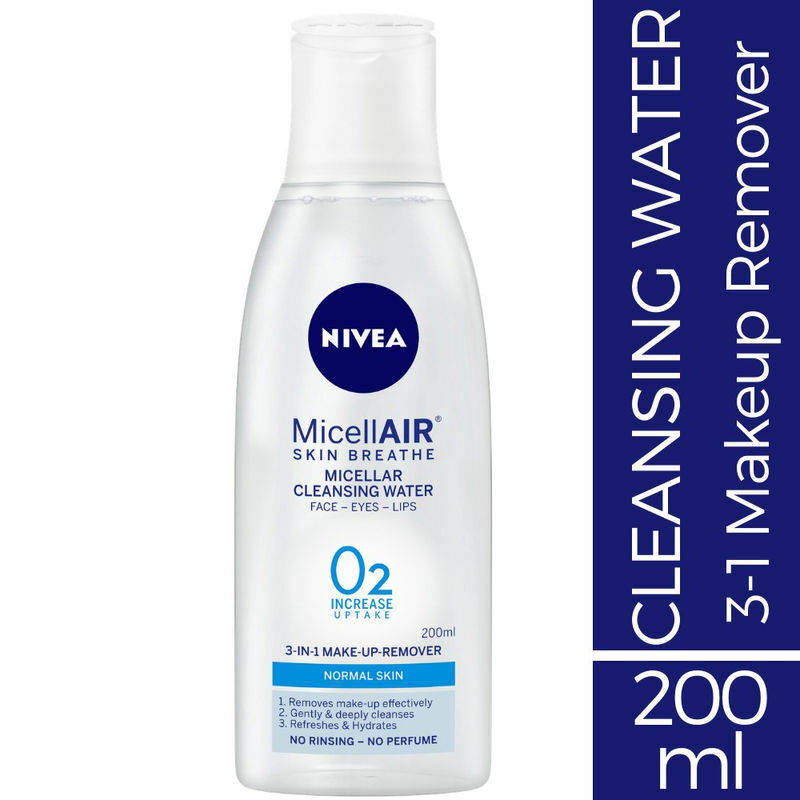 This all-in-1 make-up remover removes makeup effectively, gently and deeply cleanses, refreshes without leaving residue on your skin. How it works: The micelles work like a magnet to efficiently catch make-up, dirt and sebum. The gentle yet effective formula can be used on face, eyes and lips. Contains Panthenol with sensitive skin in mind to help rough, taut skin feel healthier and supple. No rinsing or rubbing required as the Grape seed oil leaves your skin feeling refreshed. Your skin is left perfectly clean, soft and supple, without any residue. For beautiful eyelashes and healthy looking skin that can breathe. Explore the entire range of Eye Makeup Remover available on Nykaa. 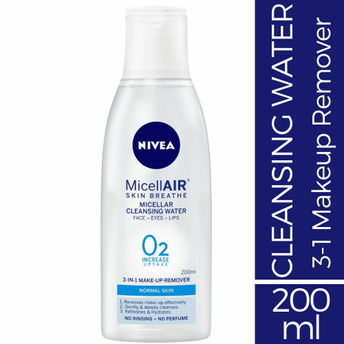 Shop more Nivea products here.You can browse through the complete world of Nivea Eye Makeup Remover .